Shift deleted important files in Windows 7? Accidently emptied crucial data from Recycle Bin? Formatted any Windows 7 partition inadvertently? No matter how you lost Windows 7 files, virus attack, system reinstallation, reformat, or other wrong operations, still and all, you can easily and quickly recover deleted files in Windows 7 (64 bit or 32 bit). Before you direct to the solution on recovering deleted files from Windows 7, let me eliminate some of your doubts. Part 1: Why Can You Recover Deleted Files in Windows 7? Part 2: What Should You Do After You Deleted Files from Windows 7? Part 2: How to Recover Deleted Files in Windows 7? When you deleted a file from your Windows 7 computer, the contents aren't immediately destroyed or erased. Your Windows 7 marks the hard drive space as being available for reuse of new data. Therefore, if you manage to start an undelete process before Windows 7 overwrites the space with new files, you can restore deleted files on Windows 7. When you find you deleted files and want to get backup them, stay calm and follow the below steps to see if you can find deleted files in Windows 7. 1. Go to check if the deleted files are stored in the Trash bin. 2. If the Trash bin is emptied, check whether you have a backup and restore files from the backup: go to Start button > Control Panel > System and Maintenance > Backup and Restore > Restore my files and then follow the steps in the wizard. 3. Alternatively, you can also recover deleted files from previous versions, which is also called shadow copies: go to Start button > Computer > navigate to the folder that used to contain the file > Restore previous versions, and then perform the next steps. This only applies to files and folders and is not applicable for libraries or system drives. 4. If you fail to recover deleted files from the backup or from the previous versions, just like most of the other Windows 7 users, go to Data Recovery Professional, which can help you recover permanently deleted files in Windows 7 with 100% recovery rate. Part 3: How to Recover Deleted Files in Windows 7? With Data Recovery Professional, you can easily and quickly restore files lost due to deletion, formatted, virus attack, power failure, software crash, hard drive not formatted error in Windows 10/8.1/8/7/XP/Vista. This software can extract your deleted or lost files and recover all the music, documents, photos, audios, videos, and up to 500+ deleted files from Windows 7 hard drives, or other external hard drive, USB drive, etc. 1. Download and install this deleted files recovery tool on your Windows 7. Note that do no install it to the partition where the lost data once ware located. 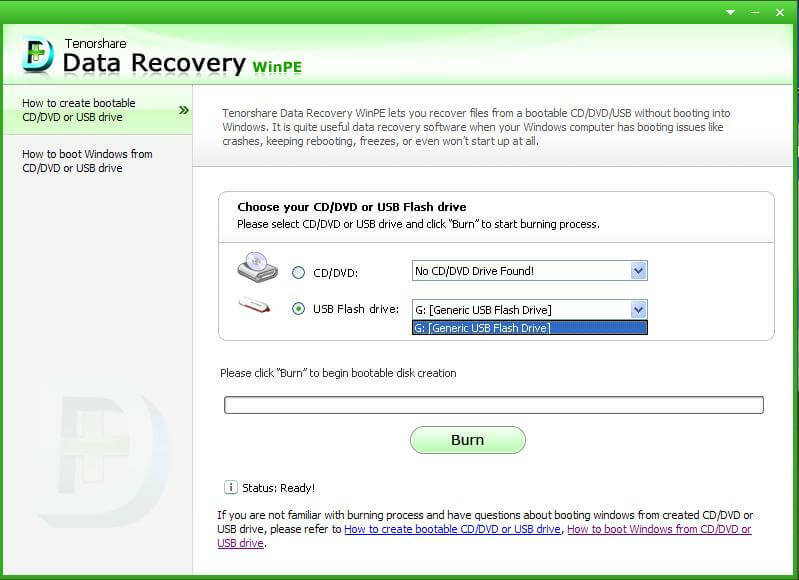 If you want to recover data from removable media, connect it to Windows 7 first. 2. Select the file types you want to recover and then click on Next to select the partition you lost files. Click "Scan" button, the software will quickly scan the selected disk to find all your target files. 3. After scanning, you will find all the files are listed very clearly. 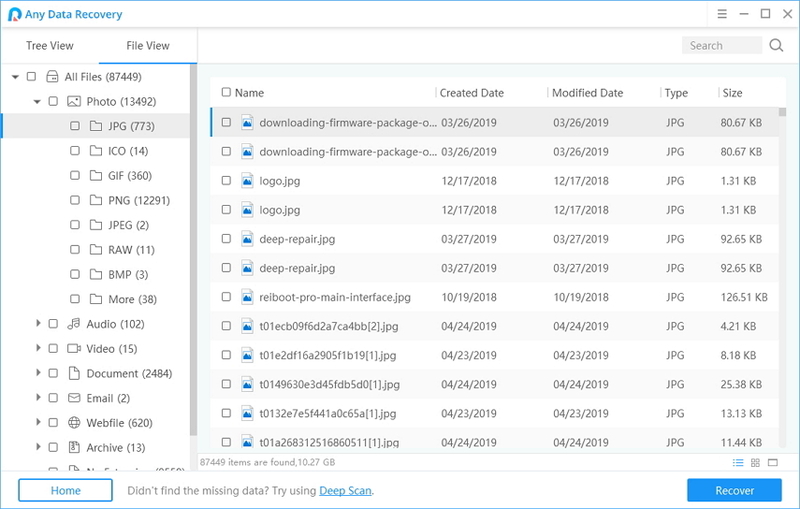 You can also view and check the deleted files before recovery. 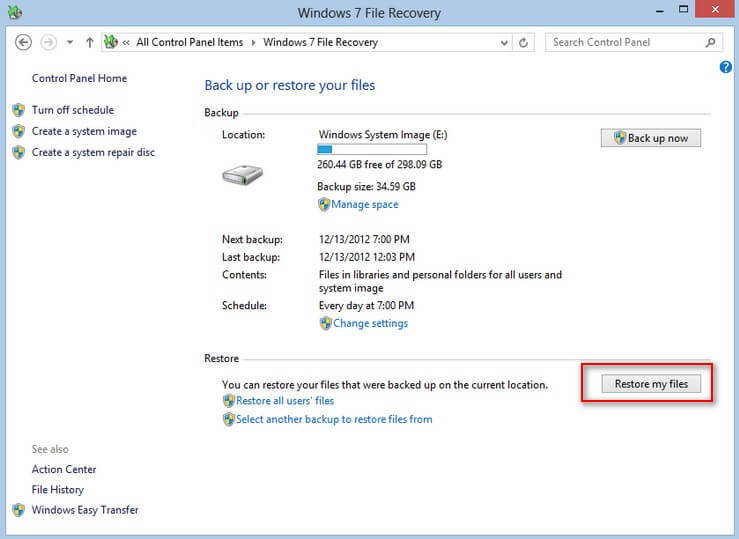 Then select what you want and click "Recover" to perform deleted files recovery on Windows 7. Note: Please do not save the recovered data to the partition where your lost data once were located. If you prefer freeware to recover deleted files in Windows 7, you can try the Data Recovery Professional free edition, which can allows you to recover 2GB files for free.